A man’s wife is missing and Philip Marlowe is hired to find her. When his search leads him to the discovery of a different dead woman, the self-proclaimed “Murder-A-Day Marlowe” has questions and by God, people are going to answer them. I don’t really have a lot to say about this one other than Chandler is in fine form when it comes to quick-witted smart talk (“I said, just to be moving my mouth”) with tremendous one-liners and similes. Chandler really gives Marlowe a beating in this one, it’s a wonder he can stand at the end after all the blackjack shots and slugs to the face. I’m sure he wonders at times if it’s really worth it. 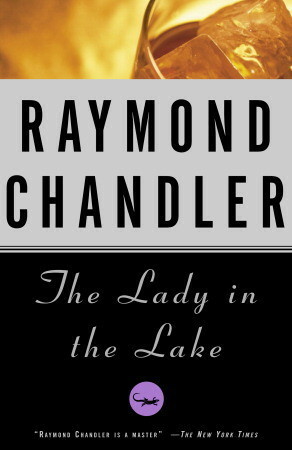 Of the four Marlowe novels I’ve read so far, I felt The Lady In The Lake had one of the more coherent, easy-to-follow plots – that is up until the end anyway. While developments seem to uncover rapidly (honestly, Marlowe solves this thing in two days tops) and everything eventually ties together in the end, it felt pretty far fetched when summing it up. That isn’t to say it’s a bad book; it’s as many have stated in the past, no one really reads Chandler for the plot and when the dust settled, this novel was perfect evidence to back that statement up. April 10, 2014 in Raymond Chandler.